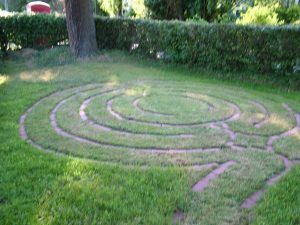 A labyrinth is a circular path of prayer laid out on the ground. It has been used by the Christian church for at least 800 years and is based on ancient patterns found all over the world. Walking a labyrinth is like going on a pilgrimage where beautiful and unpredictable things can happen. The labyrinth was opened on 1st July 2013.